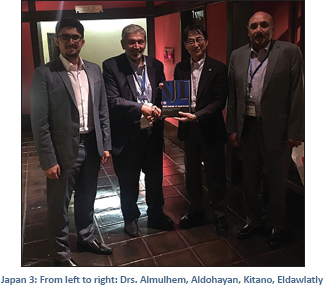 It is great pleasure and privilege to publish in the second release of Saudi Journal of Laparoscopy Association in Collaboration with Saudi Laparoscopic Society of all the abstracts presented during the 12th International Symposium on Sympathetic Surgery (ISSS 2017) held on April 10–12, 2017 in Hilton Fukuoka Sea Hawk, Japan and the 16th Annual Research Surgery Day held on April 26, 2016, in King Saud University Medical City, Riyadh, Kingdom of Saudi Arabia. The 12th ISSS meeting has focused on “Scientific Aspects of Human Perspiration.” The scientific program covered a wide range of topics on human perspiration with special reference to hyperhidrosis. The program of the meeting included lectures, educational sessions, and scientific abstracts. Presentations were offered not only by surgeons but also physiologists, neurologists, psychiatrists, anesthesiologists, and dermatologists. The meeting was rich in scientific contents, and the hospitality of our colleagues in Japan will remain unforgettable. 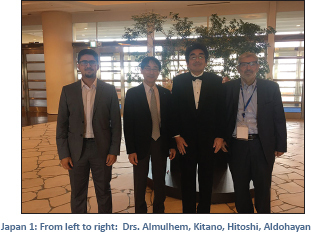 We would like to thank and congratulate the program chairman Dr. Hitoshi Oda for the excellent and well-organized event. 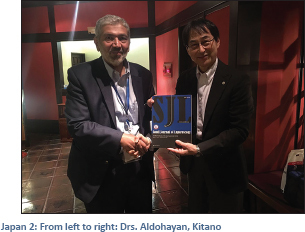 Furthermore, we would like to thank Prof. Seigo Kitano, President of Oita University for giving us the privilege to publish all the accepted abstracts in this issue of “Saudi J Laparoscopy” (SJL). Furthermore, in this issue of SJL, you will find the abstracts of the 16th Annual Research Surgery Day of the Department of Surgery held on April 26, 2017, in King Saud University Medical City, Riyadh, Kingdom of Saudi Arabia. The program was rich and included different research projects from all divisions of surgery. We would like to thank Prof. Danny Rabah, Chairman, Department of Surgery, King Saud University Medical City for the excellent organization and for the privilege given to publish all abstracts in this issue of SJL. The editorial team is all very delighted to see the positive response in the coming release of this journal from worldwide. This journal will be a great sharing for the latest academic insights as well as study the unique techniques of each fields of expertise. I hope that everyone would take the results of this journal to develop our knowledge and proficiency to ensure the quality and safety of our dealings. I hope this journal will prove to be productive and beneficial for all the concerned and involved specialists.